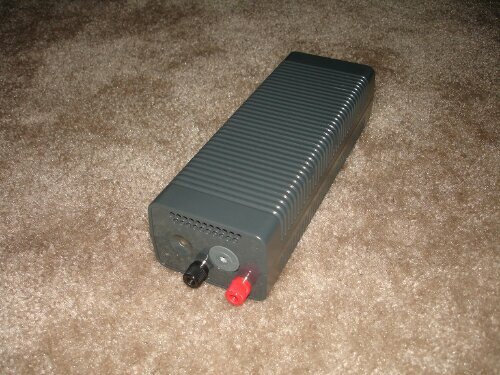 When working on the junk bot build I came up with a neat idea for another use for the Xbox 360 PSU. 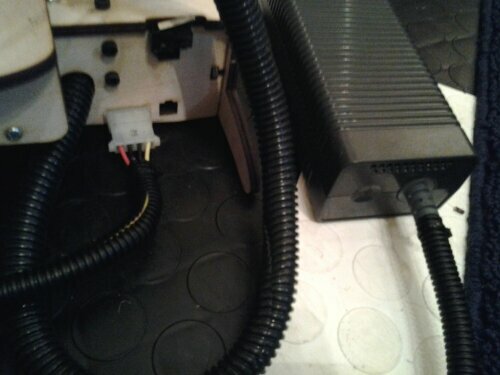 I have an empty shell that covers the Xbox PSU, which is used for mock-ups. Then it hit me, this shell would make a perfect case for either the ramps controller or the Printrboard. I checked and it fits with a little extra room. It also leaves enough height clearance for wiring. You could easily top or end mount a fan. This would give you protection as well as easy access to your controller. 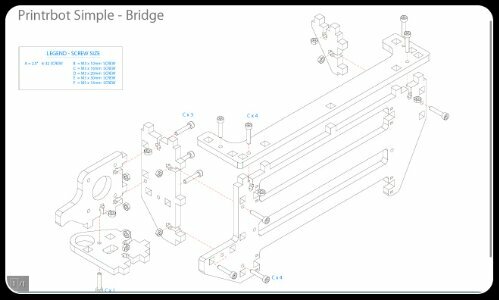 You can find the shells for a little of nothing and there are downloadable mounts for the Xbox PSU via thingiverse. I might build a case once if done with the junk bot and post a tutorial. Many people use the Xbox 360 power supply to run their heated bed but few ever mention it or offer information on it. So I decided to add it here. Here is some basic information on the power supply and how to use it with Ramps setup. 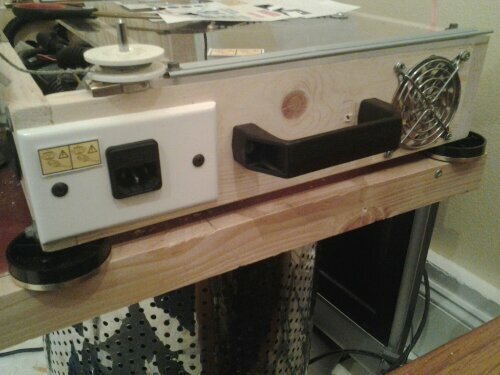 With Ramps electronics it’s really easy to use a separate power supply for only the heated bed. 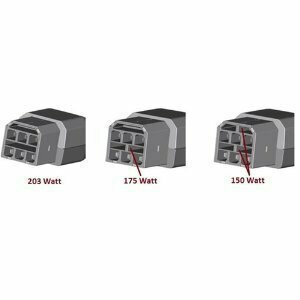 For me, a 203W 16.5 amp 12v and 5v X-Box 360 Power Supply has proven to be a functional, cheap solution for powering the heated bed or the electronics as well as both in a lot of situations. 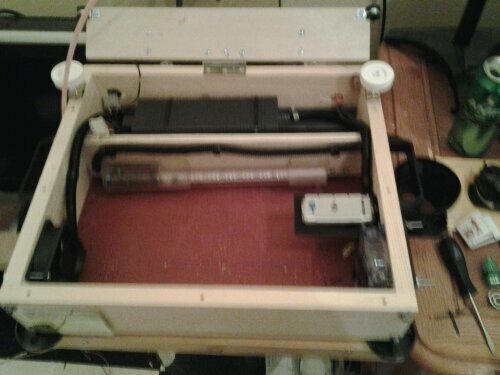 I’m currently power my whole printrbot that is heavily modded and has a 8 x 8 heated bed. This power supply works great and heats up my extruded and bed quicker then my old 25amp ATX power supply. The xbox 360 PSU offers several important features such as active cooling, overload protection, surge protection, over-heat and standby mode which can be set to always on or setup through a switch to toggle between standby and on. 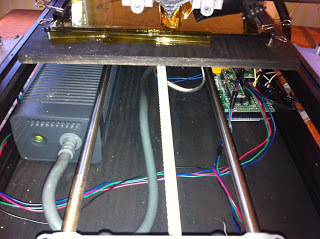 You can also find more information at the reprap forums. Just search for Xbox PSU or something similiar as i have helped several builders setup their Xbox PSU’s. 2. Cut off the connector which goes into the back of the X-Box 360 (as close to the connector as possible, or just before the magnet). 3. Peel back the cable’s shielding to expose the 4 yellow wires (12V), 4 black wires (Ground), 1 red wire (5V), and 1 blue wire (Standby or power safe). 4. Strip a small amount of the red and blue wires and connect them to each other (optionally solder). At this point I later decided to add a switch between the red (5v) wire and the blue (power standby) wires so i can switch on and off power standby. This will prevent the power supply from staying in stand-by mode after you give it power. 5. Strip and twist the ends of the yellow wires together, then strip and twist the ends of the black wires together (possibly solder these and the yellow wires as well). 7. Put some electrical tape or heat shrink around the connections. 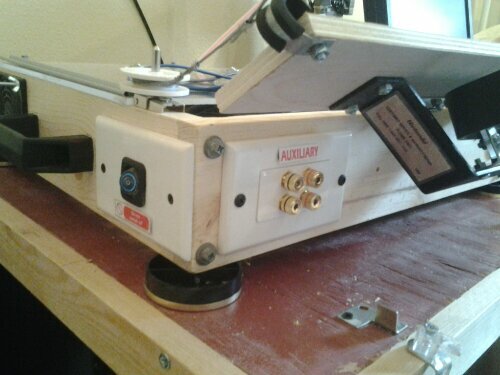 This shows an optional way of doing it and is used more often as a bench power supply. The above picture is ment to give you some ideas of ways to do it different ways. 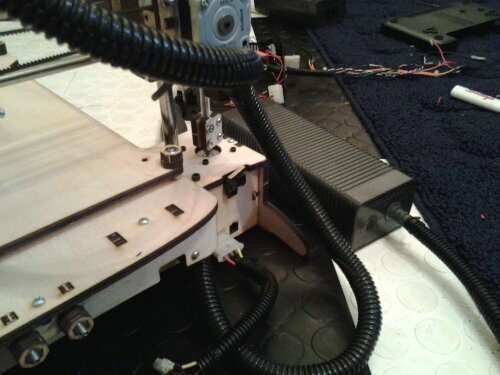 Below I have added a picture of my xbox PSU in my new Printrbot Plus V2. I decided to mount my Xbox PSU in a stand that I built for my electronics and cooling system. 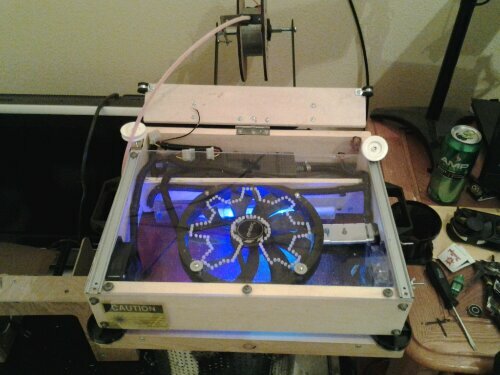 The PSU is mounted in the back and I used 3 80mm fans, 1 200mm fan and 1 120mm fan. Here you can see the main power switch which will take the Xbox PSU out of standby. Also I decided to add an AUX + and - for future add ons or for quick power use. This is the main power plug which is routed to the Xbox PSU. It is also fused at the plug for added protection. 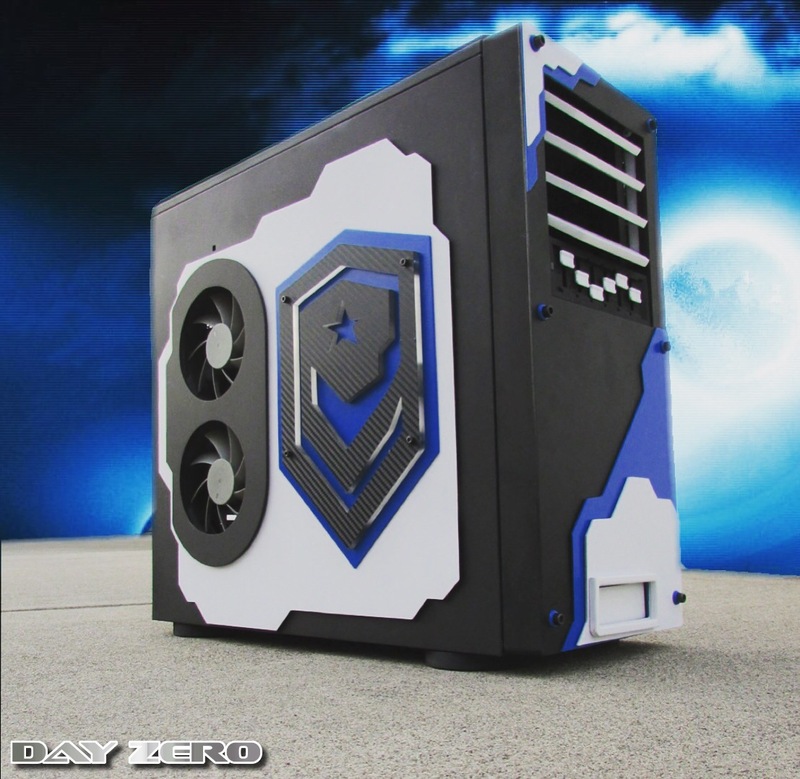 There are all kinds of different ways to mod your Xbox PSU, depending on what your needs are. 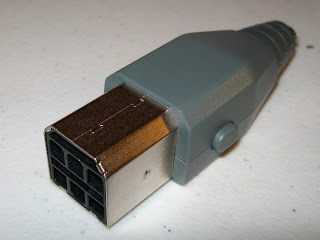 You can even buy an xbox 360 motherboard off ebay and use the female plug to make a receptical for the standard xbox plug. Another option is outfitting it with a 4 pin molex connector as we did with one of our builds. 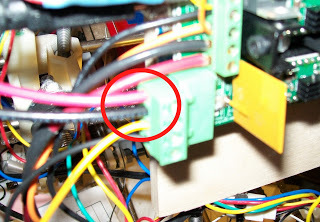 The molex plug works great because, the Xbox psu has multiple grounds, 12v and 5v lines which are the standard setup for typical computer style 4 pin molex plugs. Just make sure to connect the wiring in the correct order or you coukd short out your board. With multiple different end plugs you can pretty much adapt the xbox PSu to fit any requirements for a controller no matter which one you have. 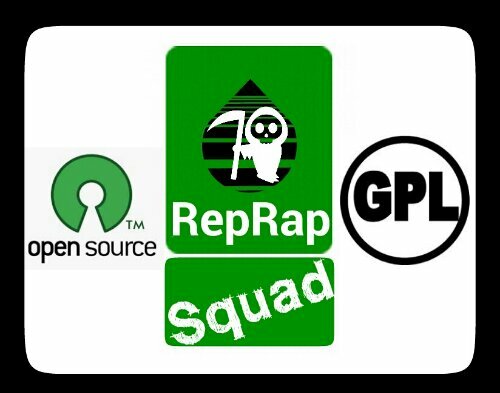 At RepRap Squad we have several different bots that use Xbox PSUs and weve had real good luck. I must warn that there are knock off Xbox PSUs and they are hard to tell that they are knock offs. These versions can be temperamental and have been known to fail or not work correctly. 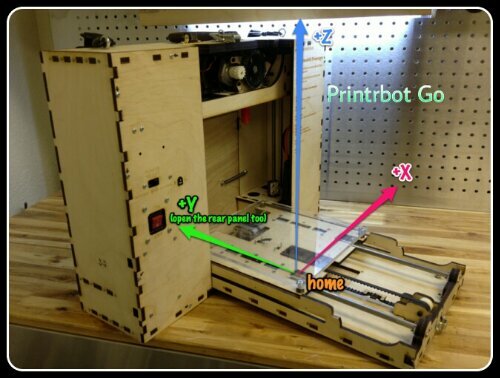 We have used an xbox PSU on our Printrbot Plus Dual Extruder, Printrbot Simple, Printrbot Original Nintendo ED, Simple XL all using a Printrboard controller as well as several RepRaps with RAMPS 1.4 controllers. Overall we like the XBOX PSUs as they offer a lot of bang for the buck. 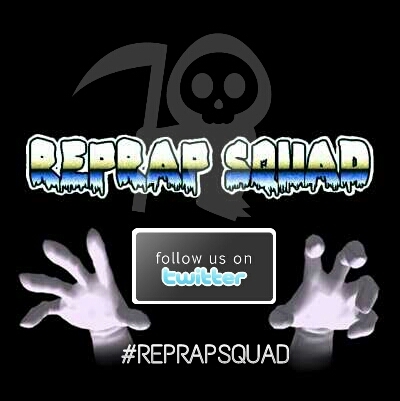 If you have any other questions that have not been answered here then you can contact us here or on Twitter @REPRAPSQUAD. All caps and all together. Happy building.